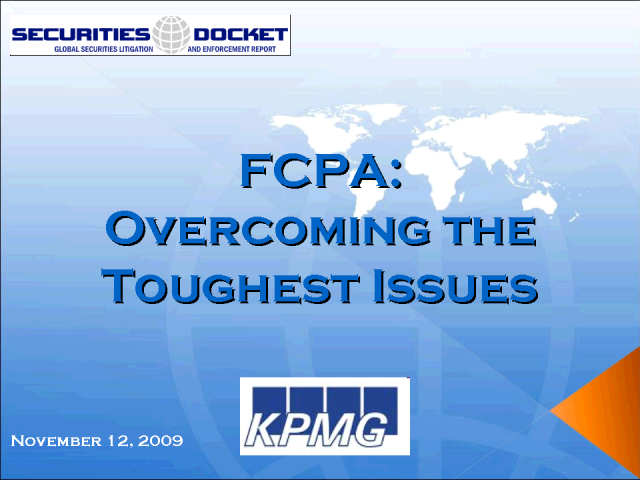 An expert panel discusses how companies and counsel can overcome even the toughest issues presented by the Foreign Corrupt Practices Act. The panel will address topics including conducting parallel international investigations; third party due diligence; facilitating payments and operating in high risk countries; and continuous monitoring protocols. Please join Elliott Leary and Phil Desing (KPMG Forensic), Hank Walther (Department of Justice), and Larry Urgenson (Kirkland and Ellis) as they address these issues and your questions in a free, one-hour webcast.